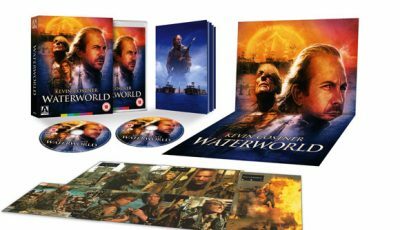 Arrow Video’s May releases are a superb spaghetti western, a pair of gems from exploitation maestro Roger Corman, a seriously gruesome Japanese thriller, a crowd-pleasing 80s-style sci-fi, and a freshly unearthed cannibal horror, all beautifully packaged and stacked with enough extras to make film fanatics drool. 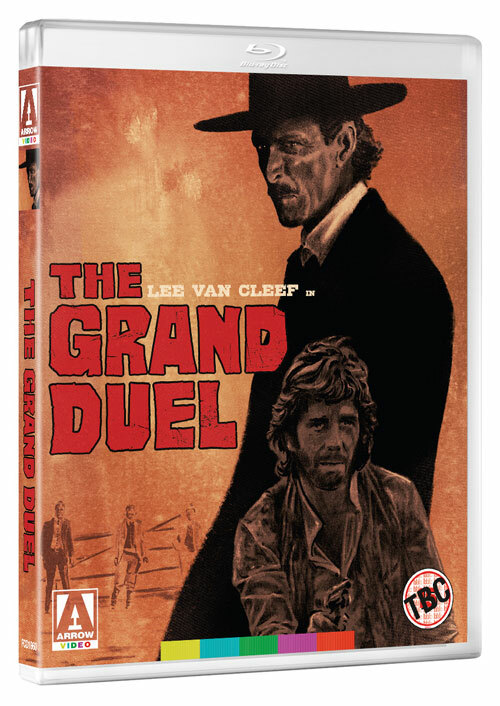 First up is The Grand Duel, an archetypal spaghetti western starring the legendary Lee Van Cleef (The Big Combo, Day of Anger) in a film that boasts many of the genre’s classic hallmarks including action-packed gunfights, wild stunts and an impressive climactic showdown. The Blu-ray features a new 2K restoration from the original 35mm camera negative, a new audio commentary, newly filmed interviews with director Giancarlo Santi and screenwriter Ernesto Gastaldi, and an Illustrated collector’s booklet. 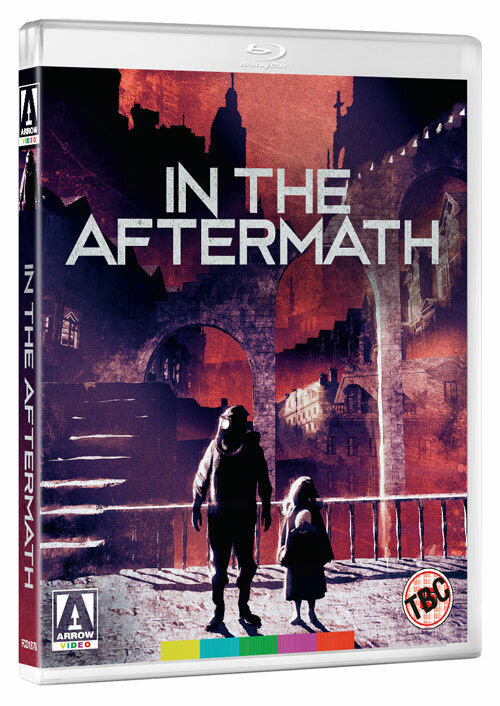 Next in May is Roger Corman protégé Carl Colpaert’s In The Aftermath, a unique mash-up of 1980s B-movie nuclear paranoia and hauntingly lyrical animation, featuring two soldiers stumbling through a post-apocalyptic wasteland. 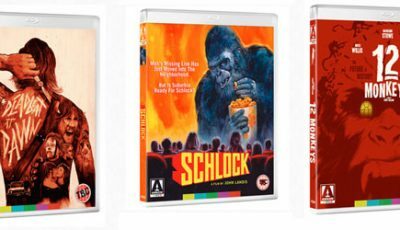 This lavish Blu-ray is presented in a stunning new restoration with new interviews and a reversible sleeve featuring original and newly commissioned artwork. Also from producer Corman comes The Annihilators, a brash, no-holds-barred slice of vigilante justice from the golden age of B-movie action. Directed by Charles E. Sellier Jr. (Silent Night, Deadly Night), the release includes a brand new 2K restoration from the original 35mm interpostive, a new video interview with actor Lawrence Hilton-Jacobs, a new video interview with filmmaker David O’Malley on the early career of The Annihilators’ director, and new sleeve artwork by Graham Humphreys. Then it is time for something brutal, bewildering and definitely not for the faint-hearted, as director Teruo Ishii (Blind Woman’s Curse, Horrors of Malformed Men), the Godfather of J-sploitation, presents Yakuza Law, that takes place during three distinct periods of Japanese history, bringing to the screen some of the most brutal methods of torment ever devised, presented here with a wealth of extras and a gloriously gruesome collector’s booklet. Also in May is Mega Time Squad, Tim van Dammen’s 80s-throwback supernatural crime caper, dubbed by critics as “a grounded sci-fi mini-odyssey with lots of creativity and even more laugh-out-loud gags”, in which a brilliant ensemble works with sharp dialogue to deliver an endearingly odd and endlessly entertaining slice of Kiwi life. Finally, Arrow have breathed new life into neglected horror Trapped Alive, with genre regular Cameron Mitchell (The Toolbox Murders) in a thrilling tale of escaped hoodlums and underground-dwelling cannibals. This brand new 2K restoration comes with a new commentary, a new making-of documentary that includes an interview with director Leszek Burzynski, and a collector’s booklet all about this flesh-munching find. Lee Van Cleef stars as a gnarled ex-sheriff called Clayton, who comes to the aid of young Philipp Wermeer (Alberto Dentice), a fugitive framed for the murder of a powerful figure called The Patriarch. A complex tale of revenge penned by prolific giallo writer Ernesto Gastaldi (Torso, The Case of the Scorpion’s Tail), assuredly directed by Giancarlo Santi. In a radiation-soaked wasteland, a soldier is haunted by visions of an angelic young girl holding a giant egg, herself a refugee from another world altogether. Could the egg be the key to saving both their worlds? Using repurposed excerpts from Mamoru Oshii’s (Ghost In The Shell) spellbinding 1985 anime Angel’s Egg, this a haunting post-apocalyptic vision like no other. A group of army vets, battle-scarred from the jungles of Vietnam, are forced to dust off their combat moves once again when one of their own meets his demise at the hands a violent criminal gang. The self-styled Annihilators, led by the redoubtable Bill (Christopher Stone, The Howling, Cujo), set out to rid their streets of crime and vice. 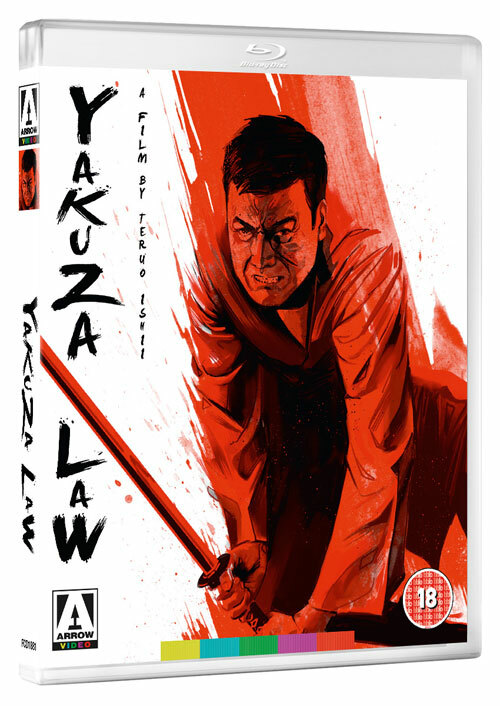 In this deep dive into the world of the Yakuza, with samurai carnage during the Edo Period (with Battles Without Honour and Humanity star Bunta Sugawara), violent revenge in the Meiji Period, and gang warfare in 60s Japan, in this gruelling anthology of torture and mayhem. Smalltown New Zealander Johnny inadvertently steals an ancient bracelet with which he can turn back time – and in the process create multiple clones of himself. This gives Johnny the ability to literally form his own gang against the local hoodlum. But he also has to deal with a demon after him for bending the rules of time. One wintry night, pals Robin and Monica are making their way to a Christmas party when they’re carjacked by a gang of crooks recently escaped from the local penitentiary. With the two young women taken as hostages, things take an even darker turn when their vehicle plummets down an abandoned mine shaft, trapping them underground with the dangerous crooks – and a mutant cannibal.